While we were away, I had to run into Target to get a few things and wandered down the soap aisle and got to sniff the Mrs. Meyer's hand soap. My favorite was the honeysuckle. I decided not to buy it while we were away in case it ended up spilling on the long trip home, but it is on my shopping list now that we are back. My sister just alerted me to the fact that The Secret of Roan Inish is on Netflix now! I have wanted to re-watch it for years, so this news is exciting! As hard as it is to believe, it is time to start getting myself situated for this coming school year. We will have a kindergartener, a second grader, and a fourth grader. It is going to be a great year and I am excited to begin! I had not heard about Elizabeth Bard's books Lunch in Paris or Picnic in Provence until a few days ago, but after reading a few pages of Picnic in a bookstore, I immediately went onto our library's website to put them on hold. Hopefully they will be ready for me to pick up soon! 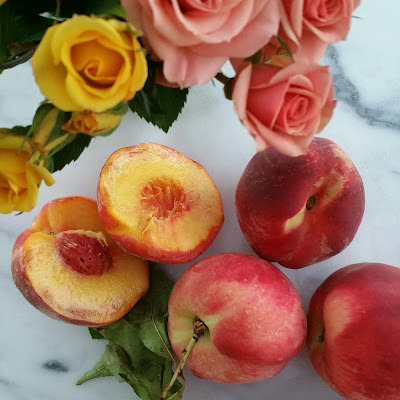 It is finally peach season! Our local orchard has not offered u-pick yet, so I picked up a few ripe yellow peaches at a roadside farm stand. 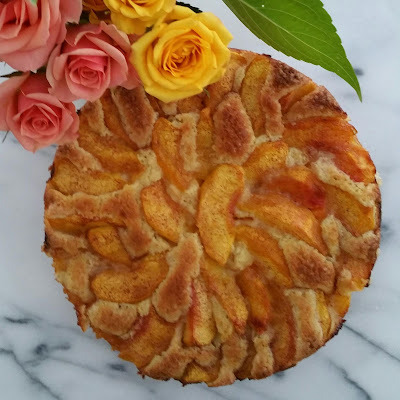 I made this peach torte (based on The New York Times Plum Torte) after lunch today and once it cooled, my sister made whipped some cream and we enjoyed a wedge for an afternoon snack. I admit that I am looking forward to a wee slice with my bacon and eggs tomorrow! We will be doing Kindy, second, and fourth here too! So fun! I am through with rough planning but have to finalize. September is all set so far. 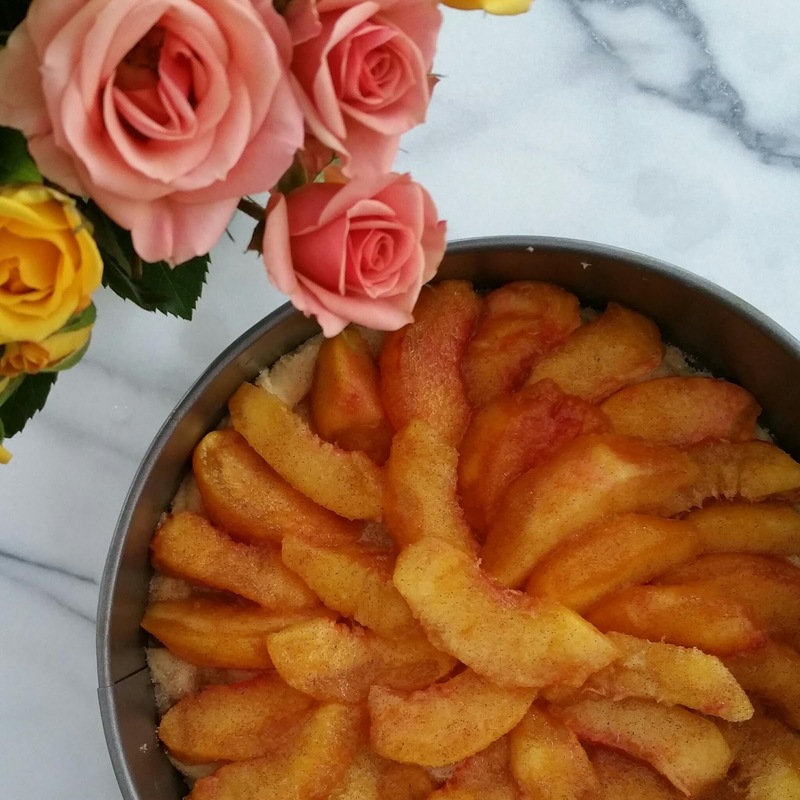 Your peach torte looks so good! The peach torte looks delicious! I love The Secret of Roan Inish as well - I also own it on DVD. The types of movies I like are generally the ones they are selling for only a few dollars as they are not popular. You are so lucky to be planning a new school year - I so miss that.